No. 1681 Office 6-16 New London to New York, N.Y. 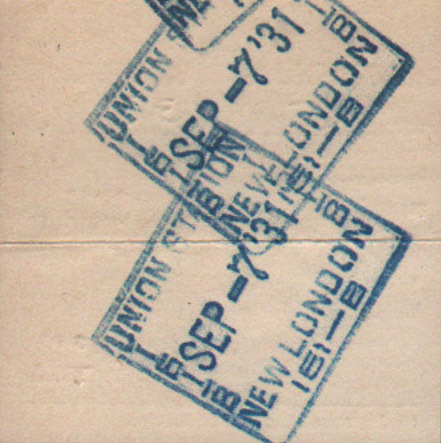 Description Nice Date Stamp from Union Station in New London, CT on Sep-7 '31. 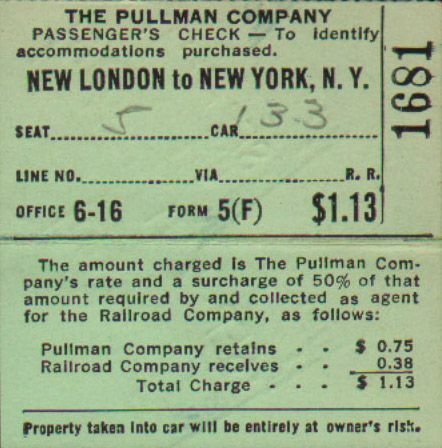 Ticket for seat number 5 on the third car of New Haven train 13 - the Forty-Second Street Express (Car 133) that ran from Boston to New York.